One of my favorite pieces so far. 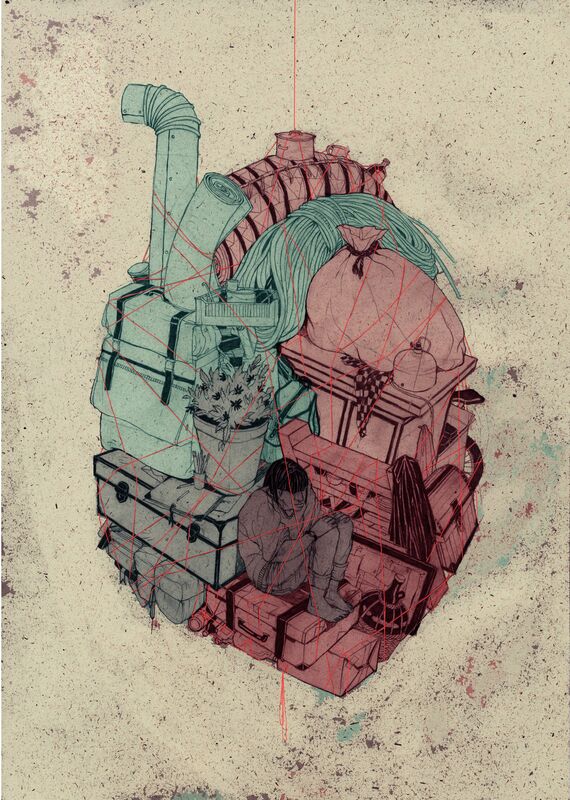 Even though it’s pretty self-explanatory and the heart hopefully clearly visible, the original idea was to put together an image of someone who is hoarding things and people as well. During the process the image took slightly different turn.